Modeling of signal propagation paths – Ледомер. Георадар. Контрольно-индикационный прибор Пикор-Лед. Официальный сайт ООО "ФПК "ЭСТРА" производителя георадара Пикор. 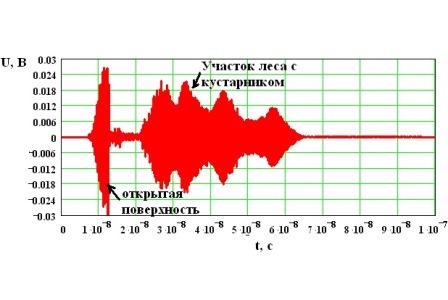 The ЕAS "MSR-Impulse" is a unique and unrivalled in Russia's domestic program complex "UWBS-Path" by mathematical modeling of radar scene and pulse distribution channels, developed together with the specialists of the Moscow State Technical University named after Bauman. This software is used for calculation of Pulse Radar Signals reflected from objects those have complex shapes and backgrounds. 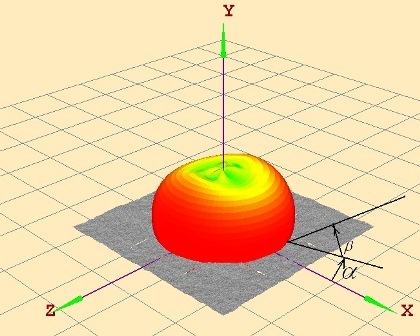 Calculation of the electromagnetic fields of the scattering objects is based on the use of physical optics, the physical theory of diffraction, as well as jumping rays (SBR) for polygonal models created in modern 3D modeling packages (Creo Elements Pro and 3DStudioMax). The program provides the necessary user interface and an interactive graphical environment to work with polygonal models and backgrounds. The programme provides for the possibility of creating a model chart orientation of the antennas and RADAR probing signals derived from numerical and field experiments. Using program complex "UWBS-Path" we calculated reflected pulse UWB signals from the forest area at a Radar height of 1 m above the ground. As the Radar working frequency radiation, which calculated on the reflected signal was adopted equal f = 2.5 GHz. 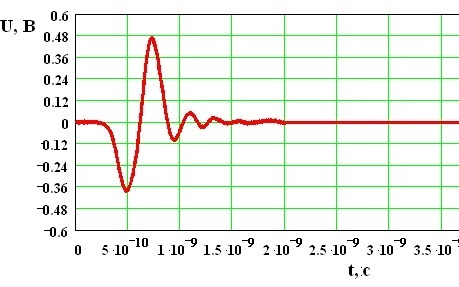 The duration of the emitted ultrashort pulse was t = 0.5 ns. The temporary implementation of the emitted radar`s ultrashort pulse is shown in the figure. 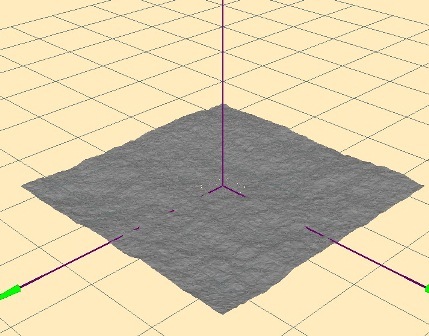 For the calculations as a model of the earth's surface has been selected by the fractal surface by a square sheet with dimensions of 20 x 20 m, formed by flat triangular elements (see figure). The Centre coordinates of the worksheet is in its geometric centre. Polygonal model sheet is formed from 1600000 triangles, the maximum size of each is equal 0.18 m, the distances from the Center of the coordinate system where 1.5 m, the elevation range was 0.5 m of humps the median plane. The forest model, which is a radar scene, formed in a merger of the polygonal model square sheet with fraktal′nymi roughness, polygonal model 4-x-4 trees and shrubs located at distances from 5 to 7 m from the Centre of the coordinate system. 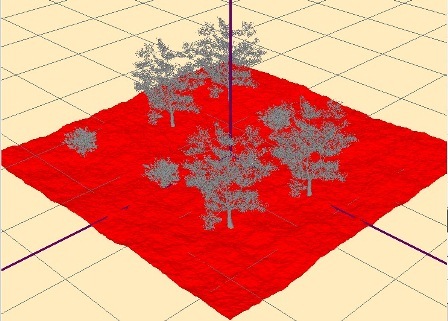 As a result of polygon model scene, formed a fractal surface soil and trees is given on the figure. Polygon model scene formed from 6000000 triangles. Chart (BW) RADAR has been obtained by calculation on the basis of exact methods of numerical simulation (see figure). When calculating the current values of the seabed in the direction the triangle surface values are ALIGNED using linear interpolation to grid. In the calculation of the reflected signal radar antenna phase centre was located at height H = 1 m above the plane y = 0. In addition, it was expected that the RADAR antenna radiates at linear polarization with polarization vector is parallel to the y axis. The figure shows the input radar signal reflected from a given radar scene-forests and bushes located on high land area measuring 20 m.
Model input parameters obtained could be used to create optimal algorithms for signal processing.